Royal Delight is a unique flavour from Steuarts Tea and it truly does live up to its name. With Black Tea, Grapes, Apple, Marigold, Rose Petal & Blue Mallow. Please Note: Tin is not included. 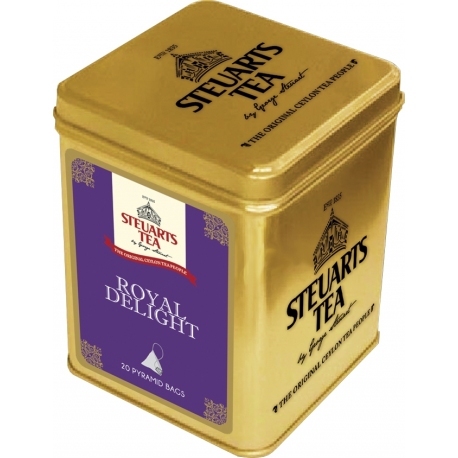 Royal Delight is a fusion tea that would awaken your senses and stand by it’s name. 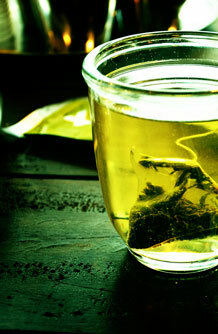 Inside the metal caddy are pyramid tea bags and inside it, is a fusion tea blend that is truly a Royal Delight. The Royal Delight brews a bright coppery liquor with a strong fresh aroma that takes your mind all the way to the never ending greens of a tea estate. 1 tea spoon (2g approx) per 200ml, brew 3-4 minutes in water at 100 degrees Celsius. 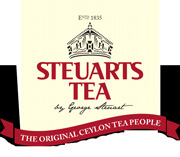 A premium blend of black tea from the high grown regions in Sri Lanka (Ceylon), Grapes, Apple, Marigold, Rose Petal & Blue Mallow.